Everybody is different. Consider your own priorities, choices, taste, interests and capacity. Think about, why do you want to study abroad, which languages do you speak, what career plan you have in mind and most importantly the cultural setting that you would feel most comfortable. You should also consider your financial status and choose your destination accordingly. If you can shortlist the country you want to study straight away, that is perfect. If not, do your country, university, higher education system and cultural setting research properly. There are thousands of universities in the world, but you will only study in one. Be an explorer. 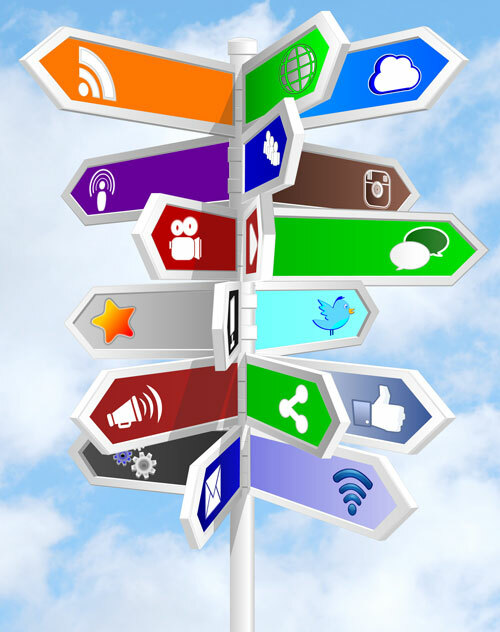 If you spend 1/10th of the time you spend on being online, to researching you will easily find the right university. Once you shortlist your destination country, you need to think about your study expenses. Do you need a scholarship, which bodies in that country provide scholarships. Do you own country has special programs to study abroad. Attend international education fairs that visit your town. Meet university representatives in person. Checkout alumni association of universities in your vicinity, meet with alumnus. This is the best way of getting first hand most valuable information about the university. You may divorce your partner but you cannot divorce your bachelors, masters or PhD degrees! Günümüzde öğrencilerin yurtdışında okumak için geçmişle kıyaslandığında işleri çok daha kolay. İster dil bilginizi geliştirmek ister lisans ya da yüksek lisans okumak isteyin artık yalnızca ülkenize ve onun size sunduklarına bağımlı değilsiniz. Yurtdışında bir yandan okurken, bir yandan farklı bir kültür, din ve ülke hakkında da birçok yeni bilgiyle tanışmış olacaksınız. Üstelik Türkiye dahil olmak üzere birçok ülkede ki yüksek öğrenim kurumları uluslararası öğrenciler için hem lisans hem yüksek lisans seviyelerinde birçok burs imkanı sunuyor. Üstelik, bazı ülkelerde başvuru, kabul ve vize prosedürleri oldukça kolay. örneğin Türkiye’de okuyacak bir öğrencinin bu süreçleri sorunsuz bir şekilde tamamlaması, Batı’lı ülkelere göre çok daha kolay. Ayrıca öğrenim ücretlerinden korkmanıza da gerek yok. Klasik Batı ülkelerini bir kenara bıraktığınızda, kaliteli eğitime çok daha ucuza ulaşmanız mümkün. Tek yapmanız gereken opsiyonlarınızı iyi değerlendirmek ve biraz cesur olmak. Yurtdışında okumanın diğer avantajlarından bir tanesi de, kendinize en uygun programı bulmak konusunda seçeneklerinizin neredeyse sınırsız olması. Japonya’da robotik okurken, İtalya’da sanat tarihi okuyabilirsiniz. Yurtdışında okumak sizlere kariyer planlamanız açısından da birçok avantaj sunuyor. Yurtdışı tecrübesi olan mezunların çok uluslu şirketlerde çalışma şansı diğer öğrencilere göre çok daha yüksek. Ayrıca, özellikle herkesin konuşmadığı bir yabancı dili bilmek size birçok farklı avantaj getirecektir. Çin’ce bilen bir mezunun Çin’li bir firma da ya da Çin ile ticaret yapmakta farklı bir konuma sahip olacağı açık. Yurtdışında okumanın size kişisel düzeyde de birçok olumlu getirisi olacaktır. Kendinize ve dünyaya bambaşka bir perspektiften bakmanızı sağlayacaktır. Değiş milletlerden öğrencilerle aynı sınıflarda okumak, onların düşünce yapılarını anlamak size ömür boyu sürecek fırsatlar sunacaktır. Bu yıllarda kurmuş olduğunuz ilişkiler geleceğinizi şekillendirmekte önemli bir rol oynayacaktır. Bu ilişki ve arkadaşlarınızın ileride ne zaman karşınıza çıkacağını hiçbir zaman bilemezsiniz. Son Söz: Unutmayın yurtdışında okumak eğitimden çok daha fazlasını içermektedir! Turkey, geographically lying between West and the East and a member of European higher education programs, such as Bologna Process and Erasmus+ is getting increasing attention from international students. Given her geographical position Turkey attracts international students from a huge region that includes nationals from CIS, Middle Eastern, Gulf, North African and Balkan countries. In the last five years Turkey put forward a concerted effort that involved Higher education Council (HEC), Turkish National Agency (NA) and primarily private universities and colleges to reach out to the students in this region. Although a new comer Turkey is fastly turning into a new study destination. In 2011 international students studying in Turkey was 30.000 while it reached 70.000 in 2013. The main source countries in 2011 was Azerbaijan, Turkmenistan and Turkish Republic of Northern Cyprus. All three countries speak a version of Turkish, thus find it easy to study in Turkey. Turkey does not only attract Turkish speaking international students but also students who choose Turkey for its extensive university programs in English both at the undergraduate and graduate levels. The recent efforts of Turkish HEC in establishing a new brand and website Study in Turkey only helped to increase interest to Turkish bachelors and masters programs among the youth of the region. Relative ease of getting a visa and residence permit to study in Turkey is another reason why Turkey is turning into a hub for international students. Rather than studying in the UK, USA, Canada or Australia many students find it much more convenient to study in Turkey and get their student visas easily and most importantly without facing prejudiced behavior. The cost of college education is also cheaper when compared with Turkey’s main contenders, such as USA, UK and Australia. The average study cost for a student would be around $10.000 per year, when the quality of education is taken into consideration is reasonably cheaper when compared with well known study destinations. The tuition fees in Turkey ranges from $1.000-$17.000 and the living expenses are easy for a student to live a decent life. Turkey also have several universities in the world university rankings. This is an indicator of the quality of teaching and research in Turkish universities. For instance, 65 Turkish universities are listed in the QS world university rankings. In the Times Higher Education rankings five Turkish universities are among the top 400 universities of the world. Turkey faces several challenges, like many other new comers into international higher education as a provider. Work permits for international students during their study in Turkey needs to be improved. This would make international students experience even easier given they will be earning an additional income during their studies. Although, new legislation eased the process there are still many things to be done. Conclusion: Turkey is an emerging study destination, geographically well located and with top quality universities, colleges and vocational schools that teach in Turkish but also extensively in English. Getting a bachelors, masters or PhD degree and living expenses are much cheaper in Turkey when compared to her main contenders. Getting a student visa and residence permit is simple making the process of studying abroad easier for international students. All in all Turkey is a rising study alternative. Studying abroad for higher education can be challenging. Finding the right college or university, completing each and every universities application and finding a scholarship are all difficult processes that you have to face. You have to know how to apply, research admission criteria and find out about tuition fees. Turkey, with its more than 180 universities is one of the best destinations for international students who seek an undergraduate or graduate degree. When compared to other education abroad destinations both application and admission process for Turkish universities are much easier. There is also huge possibilities of getting a grant from Turkish higher edudation institutions. Above all, getting a student visa to study in Turkey is almost a formality. Come and get your college degree in Turkey! There are many reasons for studying abroad. You may be aiming to find a college or university, or look into opportunities for improving your foreign language skills. While studying abroad you can also discover a new country, culture or religion. Nowadays many higher education institutions, with the scholarships and grants they provide for international students, made studying abroad far easier when compared with the past. In certain countries, such as in Malaysia or Turkey application, admission processes, and enrollment are very simple when compared to studying in the UK, USA or Australia. The fees, in line with international student recruitment policies of these countries, are also much lower. This is another significant reason why students choose to get their degree abroad. One of the other advantages of studying abroad lies in finding out the best specialized undergraduate or graduate program that suits your needs. You can study robotics in Japan, while you can focus in art history in Italy. Studying abroad also increases your employability in the global job sectors. Speaking one or more extra language will give you numerous advantages when you apply for a job. Consider knowing Chinese. You will be much more eligible to take a job in an international Chinese company compared with other qualified university graduates who do not know Chinese. On a personal level, studying abroad gives you a broader perspective about both yourself and the world that surrounds you. Meeting students from different nationalities, coming across their culture, religion and day to day living style is invaluable. The network you create during your college years will be a lifelong asset for you. You can never know when and how this network of friends will help you in the future. Final World: Studying Abroad is more than Education! Why study in Canada? The quality of higher education in Canada is amongst the top in the world. 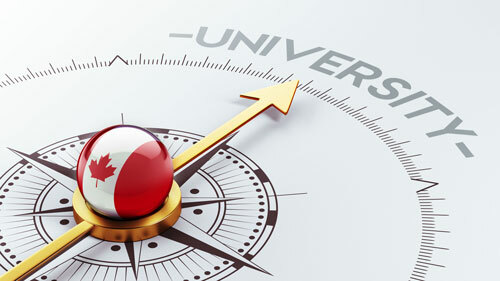 Graduating from one of Canada`s universities is beneficial for your future career. Canadian Master`s and Bachelor`s degrees and College certificates are highly recognized all over the world. Universities` environment in Canada can fit everybody with its friendly and helpful staff, family atmosphere and optimistic lifestyle. The opportunity of studying two different languages, English and French, at the same time makes your education more interesting and challenging. Higher ranked universities offer you the best undergraduate and graduate degrees. There are also many grants` and scholarships` opportunities. Application and admission process are simple. Bestapply`s happy to enlist 7 Canadian universities and colleges: Capilano University, Centennial College, Douglas College,Fairleigh Dickinson University Vancouver, Humber College, Huron University College, Mount Saint Vincent University. 8. SO??? Checkout our list of Canadian schools!